Home » Posts » A Bright New Way to “Spend” Your Time! Originally, we were going to use dry beans for the tokens(Magic Beans! ), but we happened to have these lying around leftover from my bridal shower. These are much more fun for the girls and can be purchased at a party store. Any old thing will do, really. As long as you don’t use something that’s typically just lying around the house(like pennies). That could be too confusing and tempting for little ones. They each have their own color so there is no mix ups or swapping of jewels. What you get is what you get! We’re all on summer break right now. During the school year, instead of just handing out all of the jewels on a Monday, the girls need to earn their treasures. For each day they are dressed and ready for school to start – on time – they each receive 2 jewels. We have been using this system for, I think, about a year and a half now and it has worked wonders for us. We used to watch WAY too many movies, but clearly, that’s no longer a problem. It took some getting used to, and when we stared out we gave them a lot more per week. We have slowly decreased the numbers with surprisingly little resistance. An added bonus to this system is that we now have some leverage with the little tykes! When they started getting too pokey to show up for class on time, we implemented the 2 jewel per day rule. When they misbehave, we have something to take away! It’s much more tangible than saying “No TV tonight.” I’ve found it means more to them when they had something, and then lost it. My husband and I have recently talked about adding a new incentive. 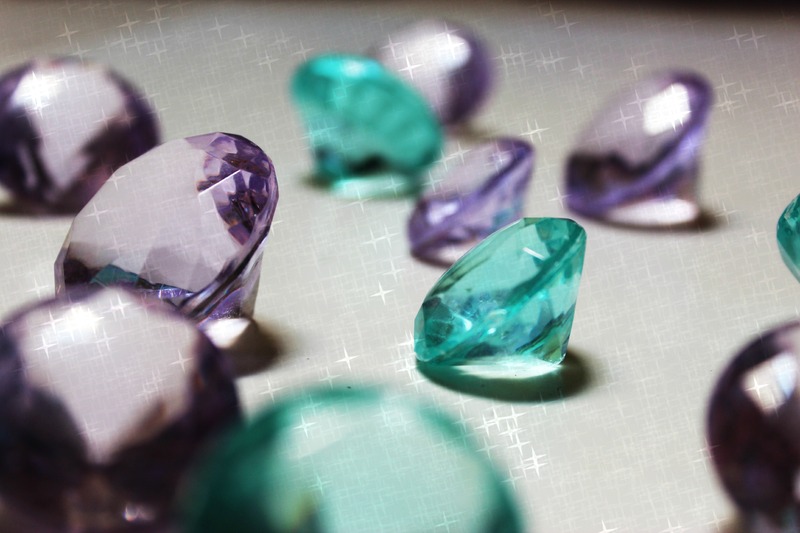 Allowing the kids to do odd jobs around the house – above and beyond their daily chores – to earn more jewels. We think it will be motivational when they are just 1 or 2 jewels short of being able to watch an entire hour and a half movie. We’ll try it out and let you know how it goes! In the mean time, let me know what you think of this system in the comments below. Would it work for your family? If you do give it a try, let me know how it went!